What makes Tropical Smoothie Las Vegas the #1 destination for your taste buds? Many have wondered this but few have the answers you’ve been looking for. There’s a lot that goes into a great Tropical Smoothie and I’m here to tell you that it’s a lot simpler than you think. Our taste buds and body oftentimes are craving two different things. Our taste buds want something that is delicious. You know, a tropical treat that is sweet, savory, and makes your mouth just water. However, our body is craving nutrition and wants something healthy deep down inside. When you have health issues like low energy, weight concerns, or digestion problems, your body needs to be equipped with the proper ammunition to fight of these bad boys effectively. How do you overcome this obstacle of competing priorities within your body? 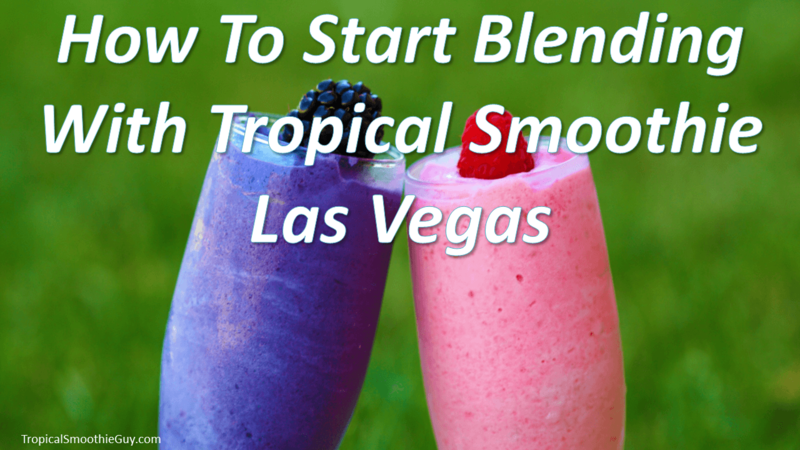 You may be asking yourself, “What makes Las Vegas so special for Tropical Smoothies?” I’m glad you asked! Local. Hi Tropical Smoothie lovers! I’m on a mission to help you improve your health and accomplish your goals with healthy and delicious tropical smoothies. I’ve been focused on natural health and helping others for over 10 years and want to share that with you in the Las Vegas area. Awesome. This is what I say when I make tropical smoothies for people. Why is that? It’s because we share a common goal of loving the taste of tropical fruits being blended into smooth frozen treats that our taste buds jump for joy about. Sweet. Golem from the Lord of the Rings called the ring his, “Precious.” This is my reaction when I run out of fruit (Ahhh!). This is also how I think of my favorite fruits because they provide maximum flavor and health benefits and are “precious” to me, lol. These include mangos, pineapples, bananas, blueberries, strawberries, blackberries, and raspberries. Vivacious. Like whoa, that is one vivacious specimen we have there. When walking the strip in Las Vegas, this has come out my mouth a few times. No this was not because of the scantily clad women (and men) walking around or at a show. This was what I said when I made first Tropical Smoothie in Las Vegas and was sipping my sweet treat. It was a moment of pure attraction that I can’t really explain. It produced a level of excitement that I’ll get into in a moment. Excitement. Have you ever been so excited about something that you almost couldn’t think about anything else? Like everything else was a distraction of having the one thing that you wanted the most? That happens every time I wake up. I get super giddy when I wake up because I know what’s coming. I make 4 cups of pure frozen deliciousness as a way to give my body the nutrition it needs to start my day. Glorious. This is the feeling I get after I drink tropical smoothies. This may be in part because of all the wonderful sweetness that just occurred, but rest assured…I balance it out with some greens to add in some nutritional value. Let’s imagine for a moment that the red carpet of our tongue saw the light of concentrated nutrition being blended for us and sparks truly began to fly. Well that happened for me one day when my regular blender broke down and I had to wait for a replacement. But don’t worry, I was back in action after a week (longest week of my life)! Anticipation. Nobody likes to wait. In fact, I suffer with impatience, but am recovering from this instant gratification syndrome. Can you see how waiting for a replacement blender and chewing things the old fashioned way would test me to no end? Let’s just say I had to learn how to give my body the nutrition it needed with fresh, raw, and organic greens and fruits in creative ways. That’s kind of like how tropical smoothies work when people make them for you. You can see how it’s done and get ideas about future concoctions that would be amazing. The Tropical Smoothie Las Vegas experience could change your life. It changed my life in November 2013 and has helped me gain more energy, lose 30 lbs, and improve my digestion in less than 6 months. Las Vegas is a not only a great place to live, but it has a untapped community of Tropical Smoothie lovers that have not yet had the chance to truly connect in a meaningful way. The term “Smooth Operator” has a new meaning. Part of being a “Smooth Operator” is being able to blend together with people with similar interests and that are like minded. Check out “My Crazy Story” and see how many things we have in common today!